Wonderful pool home in a great neighborhood! 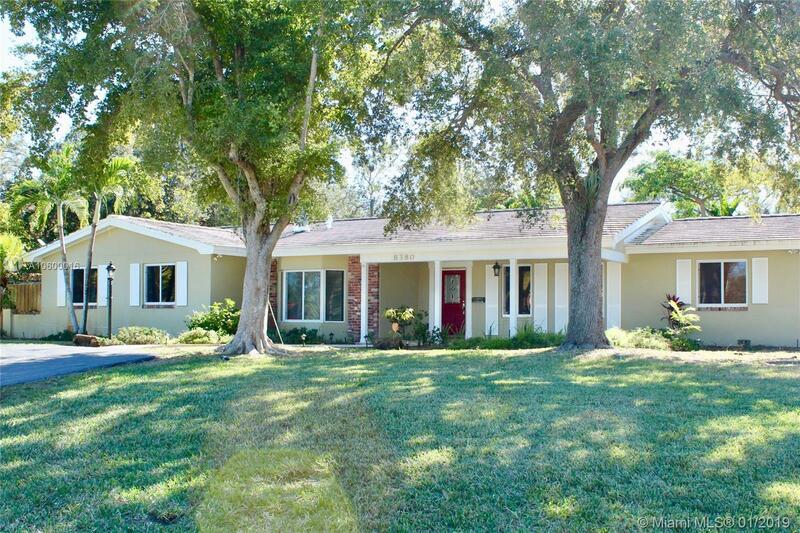 Sitting on a corner lot, this 4 bed/2 bath home offers a great flow between its areas: living room w/ fireplace, dining room, stacked bedrooms, cabana bath, kitchen/family area, pantry, laundry area and large 2 car garage. A covered terrace with fans and screen allow protection and cooling for year round entertainment. Features to this updated home include new bedroom flooring, gas generator, solar panels to prolong the pool season, carport awning to provide added comfort from the rain, impact windows, a fresh coat of paint and more! Great location on very quiet street. Layout of the lot and double gate feature allows easy parking for your boat. Excellent school district and beautiful parks nearby. Come and be part of Palmetto Bay living! Directions: Use Gps. Excellent Location. Please Ensure You Are On 164 Terrace And Not 164 Street.